In April this year the Big Apple welcomed a new exhibit of 300 miniature scenes of landmarks and towns from 50 countries around the world. 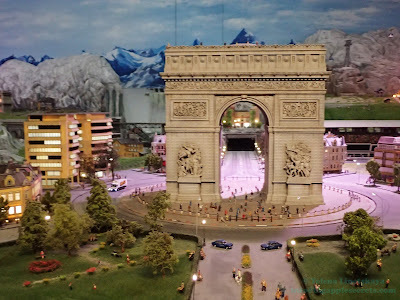 Gulliver's Gate is located on Times Square, Midtown Manhattan in the heart of New York City. Times Square has earned the nickname “Crossroads of the World.” and is one of the world’s most visited place with annual visits estimated to be 39 million people a year. 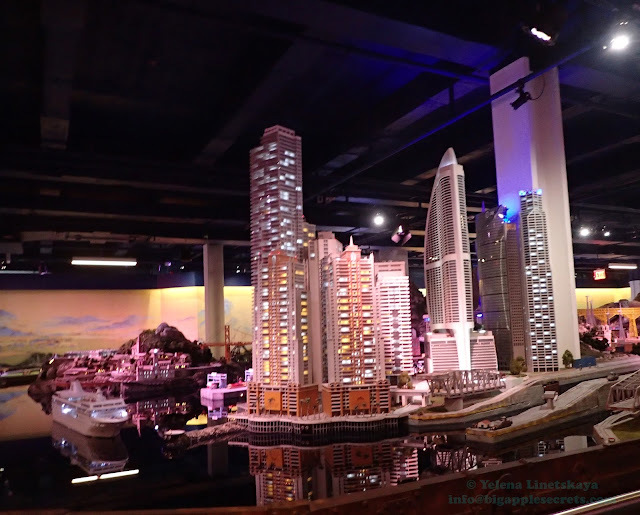 Lemuel Gulliver is the fictional protagonist and narrator of Gulliver's Travels, a novel written by Jonathan Swift, first published in 1726. The full title of a novel is "Travels into Several Remote Nations of the World. In Four Parts. By Lemuel Gulliver, First a Surgeon, and then a Captain of Several Ships". During his first voyage, Gulliver is washed ashore after a shipwreck and finds himself a prisoner of a race of tiny people , who are inhabitants of the island country of Lilliput. The word lilliputian has become an adjective meaning "very small in size". 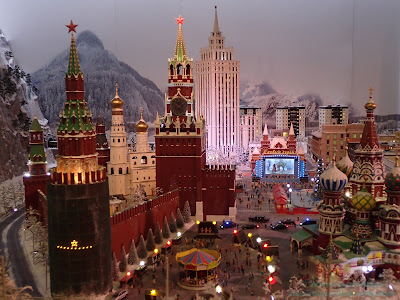 The interactive 50,000-square-foot exhibit Gulliver's Gate is a full city block wide and features tiny built-to-scale models, including moving model trains and highways display , miniature replicas buildings, bridges, churches and monuments from Moscow, London, Paris. Times Square is alight with LED screens, neon signs, and a traffic jam of cars and pedestrians. You could see iconic architectural treasures including One World Trade Center, the Empire State Building, Grand Central Station. See Stonehenge, watch the Tower Bridge open, or choose a concert to watch at Buckingham Palace. You will also find Island, a model inspired by The British Isles, and Winter land, a model inspired by regions of Russia, size up the Eiffel Tower and more. 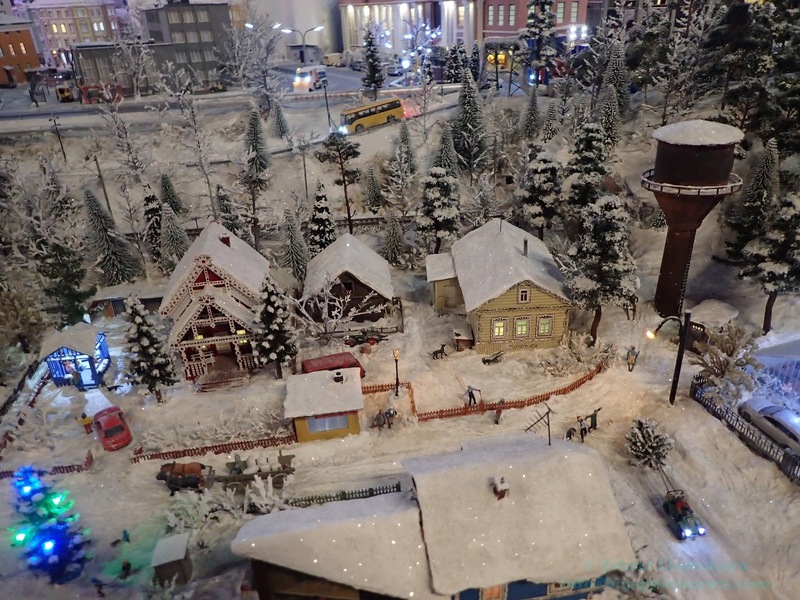 The snow in the Winterland model is as plentiful as the whimsical scenes that surround the famous buildings of Moscow and Saint Petersburg. 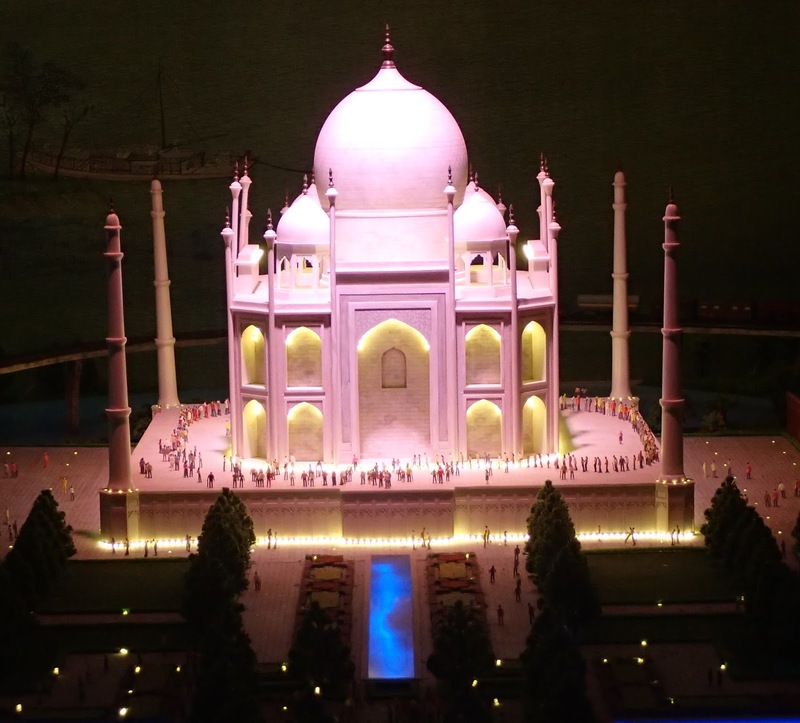 Visit the Taj Mahal, the Great Wall, see the Forbidden City and a military parade near Tiananmen Square. 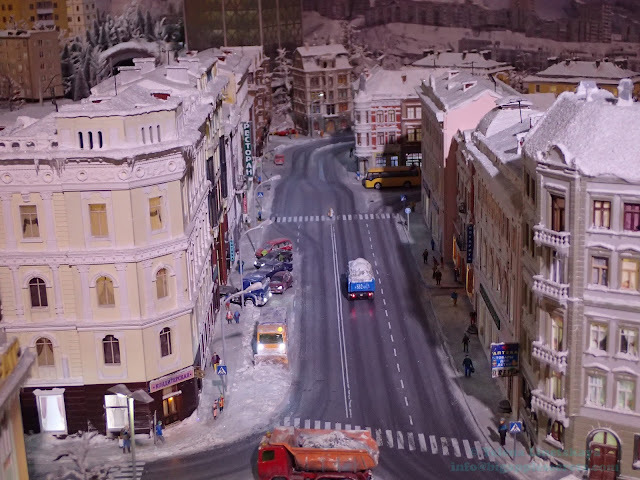 The details of the models are really amazing! You can spot the firefighters high-fiving each other as they rescue a cat from a tree in New-York and the man walking a bear on a leash on the steps of the Old St. Petersburg Stock Exchange. 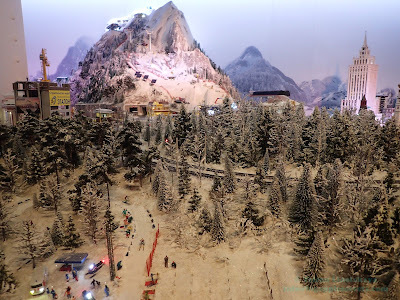 Gulliver’s Gate was spearheaded by Israeli entrepreneur and miniature lover Eiran Gazit , the creator of Mini Israel park near Latrun, Israel in the Ayalon Valley. 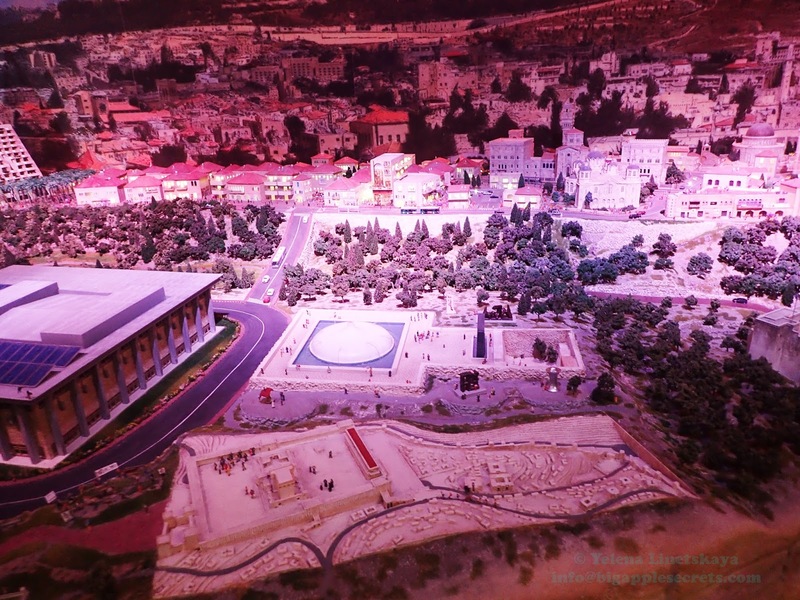 Gazit conceived the idea of Mini Israel park after visiting the famous miniature town of Madurodam in the Netherlands in 1986. 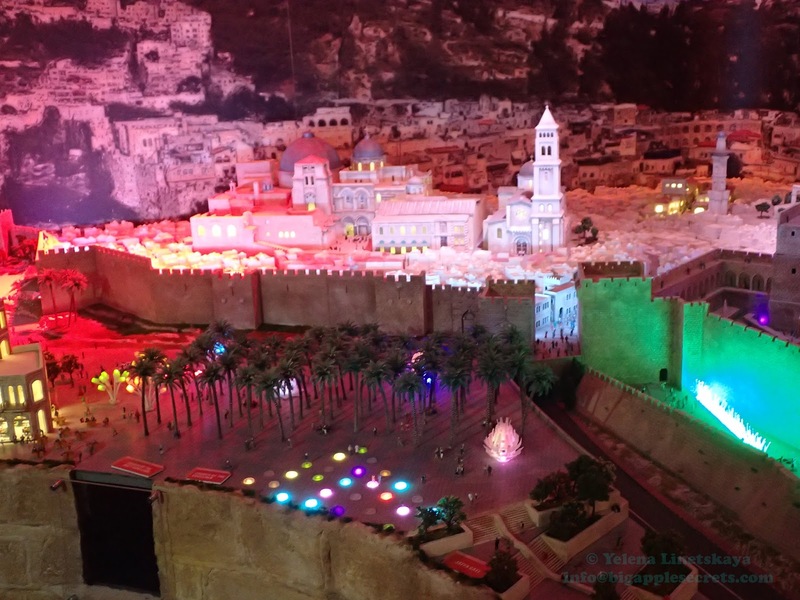 Mini Israel, consisting of 350 buildings and landmarks, 30,000 figures, 500 animals and 15,000 real trees opened in November 2002. Born in Israel, Gazit moved to the US in 2005, and shortly thereafter became the co-owner of the Gateways Inn in Lenox, Mass. 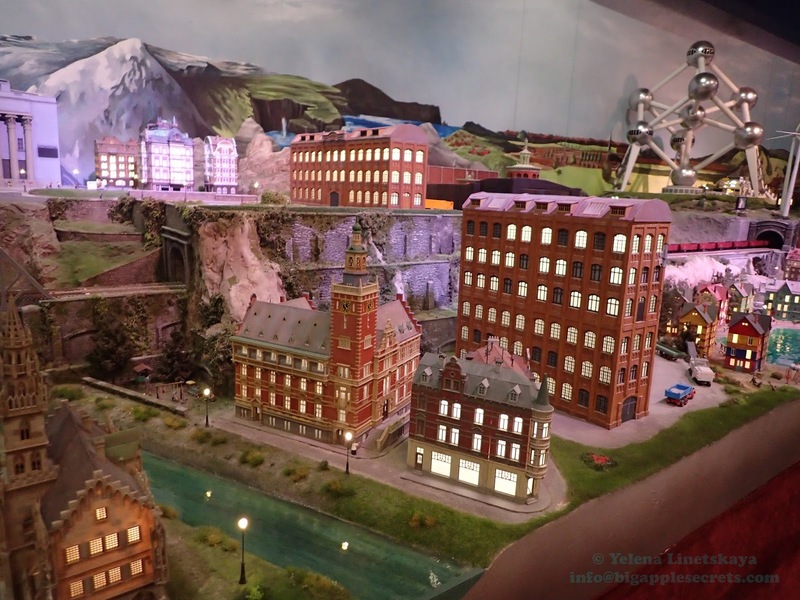 In 2007 Gazit met fellow miniature lover and co-developer Michael Langer. 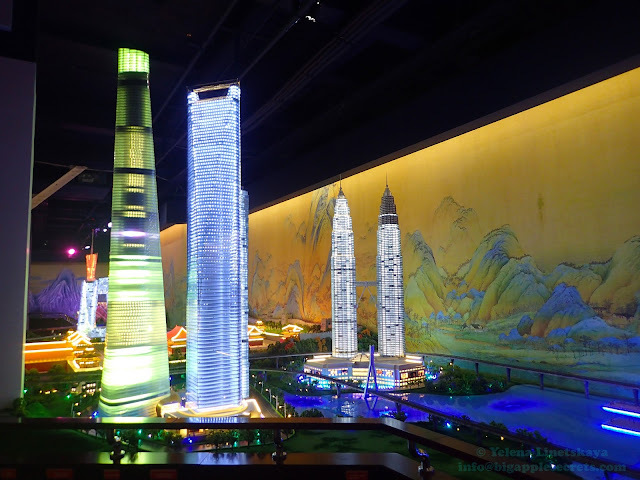 For Langer, the project Gulliver's Gate marks a move toward more ambitious development. 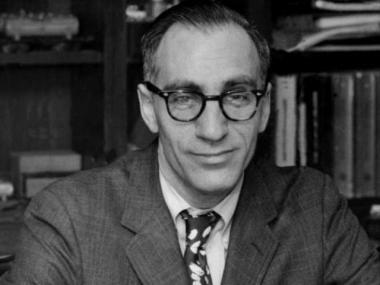 E&M Management, a Flatbush-based real estate investment firm that owns about 10,000 rental apartments in the city, renovated multifamily and office buildings in the past, Langer said. 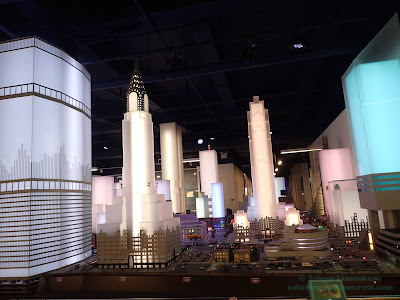 Together Gazit and Langer set off courting investors and even launched a Kickstarter campaign in 2014 to help make the miniature world in New York a reality. “There are overlays of time periods and different stories being told. This world is very nice. It’s very utopian. There are no hospitals, no walls, no tragedies. 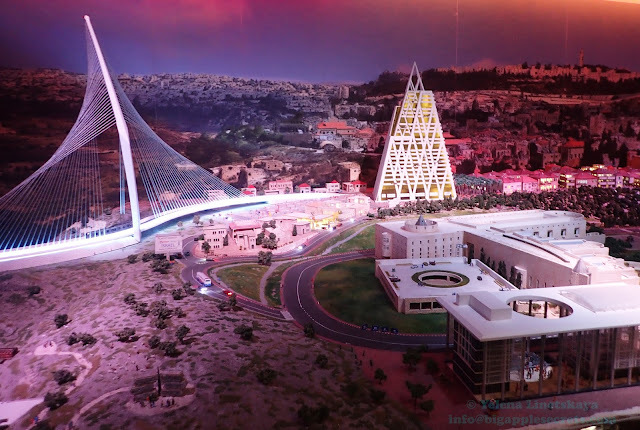 It is the world as we would like it, not as it is,” said Eiran Gazit. “Each region has its own tone, its own flavor, its own feel. I wanted the teams to reflect the country, to keep the authenticity". A retired IDF officer, 62-year-old Gazit was born in Jerusalem and grew up in England. He remembers first falling in love with models during his childhood in the UK. 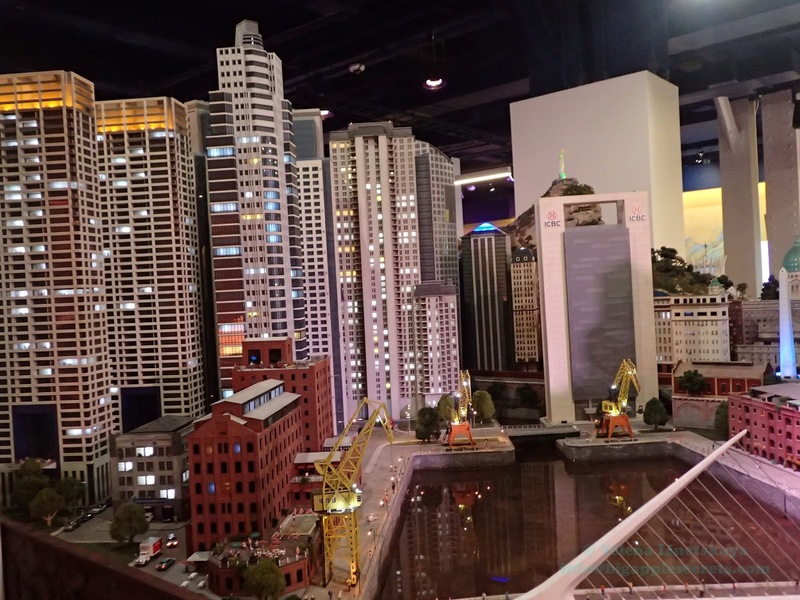 “I had hundreds of model airplanes in my bedroom,” he said. 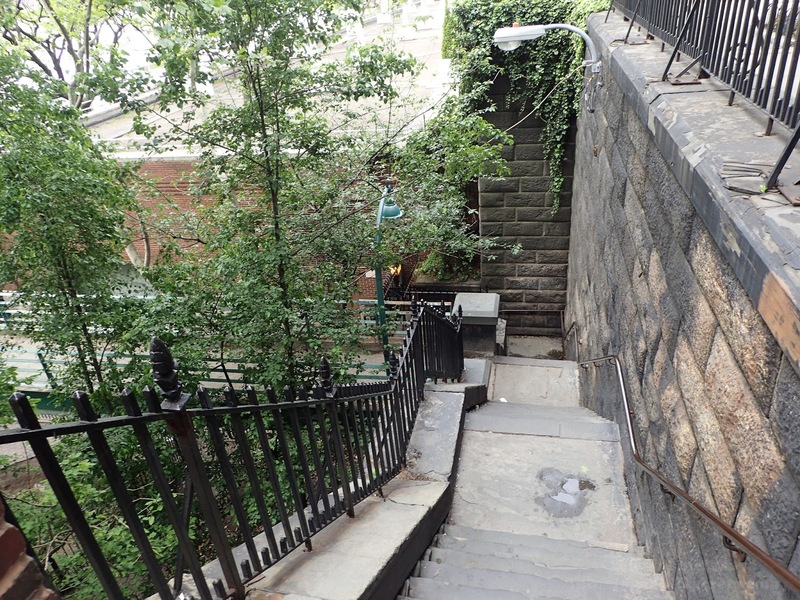 The two-story space sits at the base of the former New York Times Building and has the address of 216 West 44th Street. 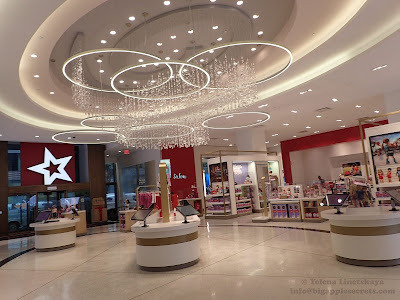 Kushner Companies managed by Jared Corey Kushner , son- in law of the President Donald purchased the retail portion of the building in 2015 for $296 million. When you enter Gulliver’s Gate, you can get a personalized metal key that’s yours to keep. Your key allows you to interact with and control the models bridging the gap between you and the display. There is a 3D scanning room where you can get the scan of yourself as a full-color 3D print. 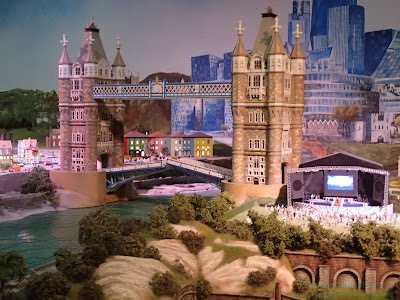 You even can become a Model Citizen when this mini model of yourself is placed at Gulliver’s Gate in the location of your choice! 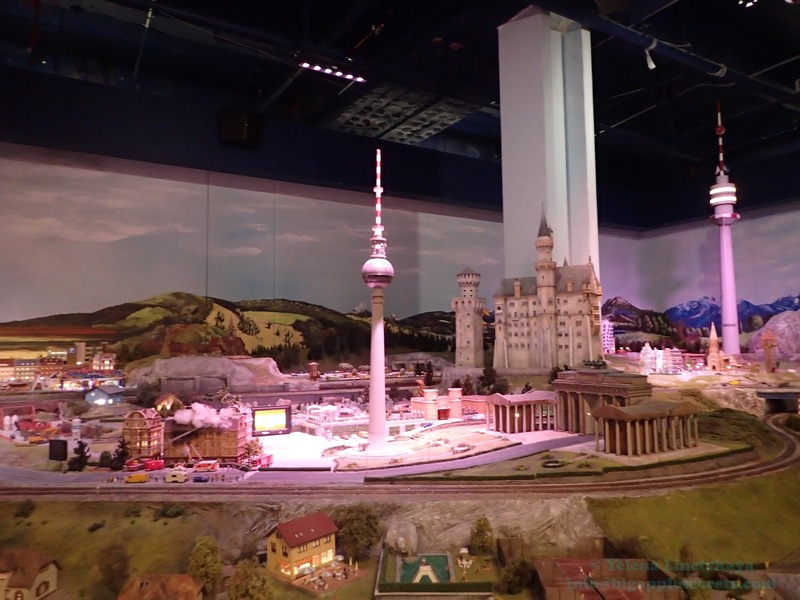 Gulliver's Gate is open every day form 9AM till 10PM in summer through September. Winter hours are 8AM-8PM. The price is $36 for adult and $27 for seniors and kids older than 2. I found an excellent deal on Travelzoo- $25 for the ticket and even better-$95 for 4! But you have to grab it while supply lasts! Now that summer is in full swing , I'd like to tell you about some of the lesser-known green gems tucked away the corners of New York City. 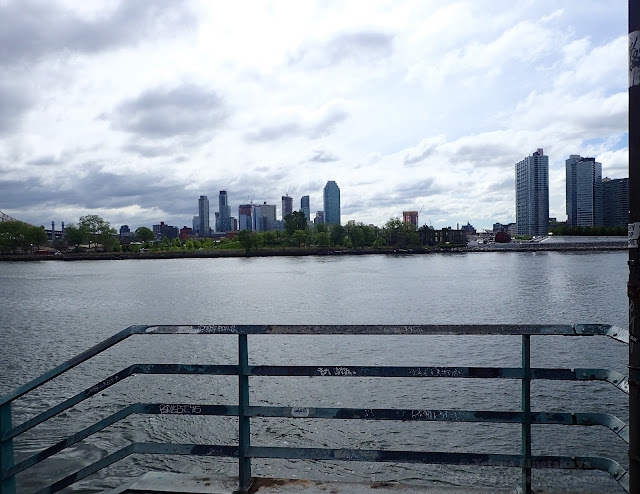 New York City has more than 1,700 parks, playgrounds, and recreation facilities across the five boroughs. 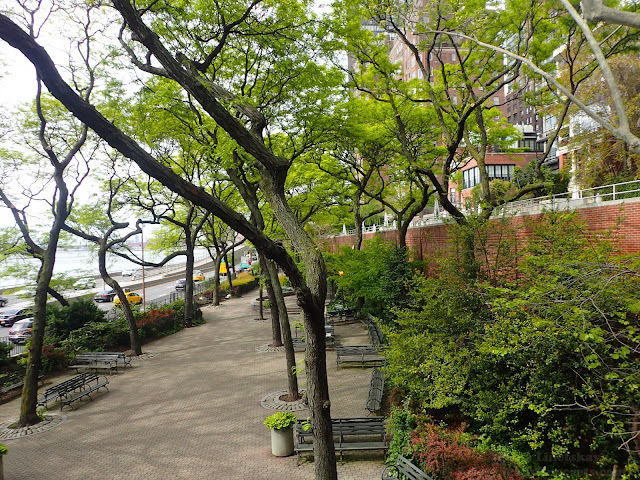 The oldest park is Bowling Green Park, the first official park in New York. It was established and named by a resolution of the Common Council on March 12, 1733. The largest park in New York City is Pelham Bay Park in the Bronx, and the largest park in Manhattan is the famous Central Park. But there are tons of small parks in Manhattan that even newyorkers have never heard of. 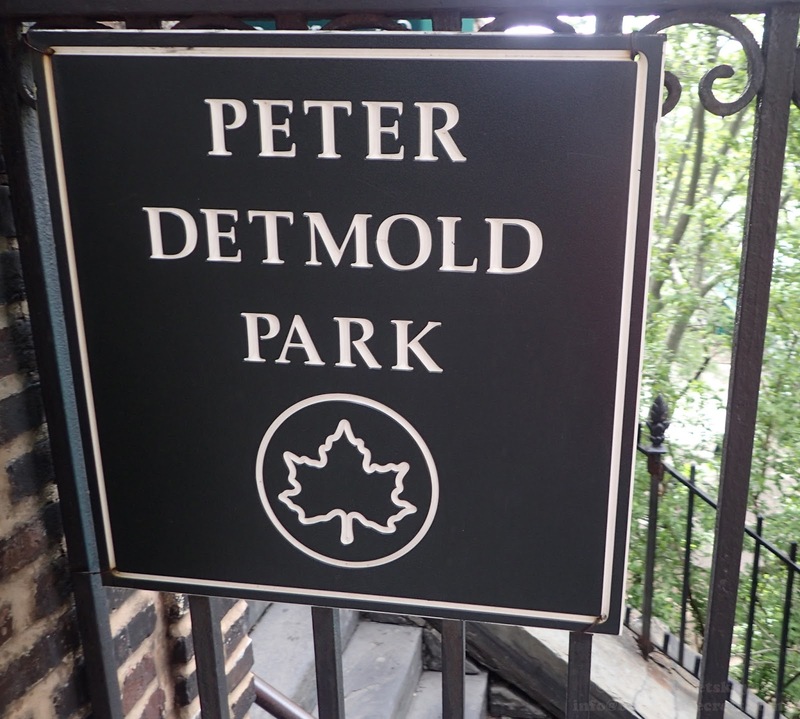 One of them is Peter Detmold park in Turtle Bay neighborhood, at the eastern end of 51st Street. A cove of the East River received its name in the 17th century by its resemblance in shape to that of a knife, "deutal" being Dutch for "knife". The Turtle Bay was originally a 40-acre (16 ha) land grant given to two Englishmen by the Dutch colonial governor of New Amsterdam in 1639, and named "Turtle Bay Farm". On the night of January 6, 1972, after returning home from a meeting of the East Side Residential Association, Detmold was murdered. His killer was never found. 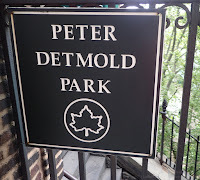 The Peter Detmold park is located at the bottom of a sheer cliff and is not visible from the street level. 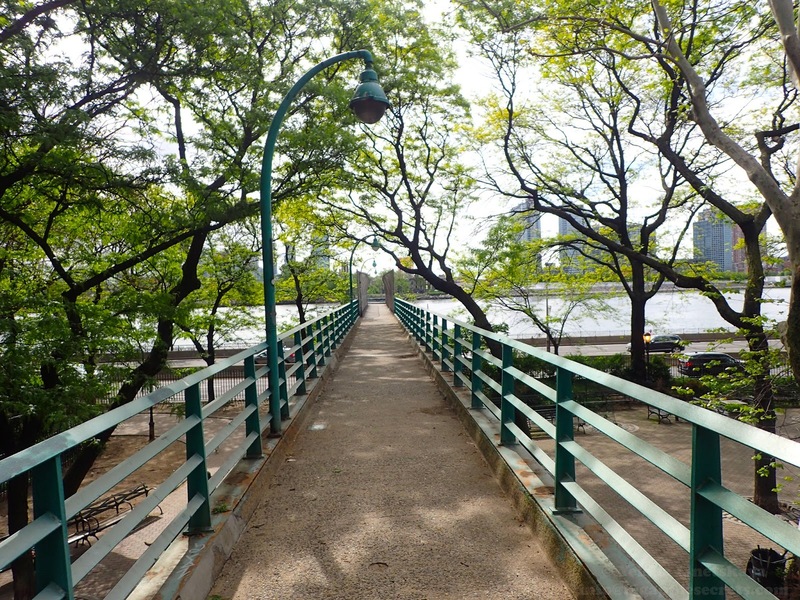 The park has a small dog run, benches and tables with embedded checkers and chess sets on top, and an old beautiful footbridge that allows you to cross FDR Drive for great views of Long Island City, East River and United Nations. 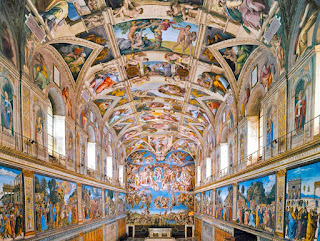 The Sistine Chapel is one of the most famous painted interior spaces in the world. The chapel was named after Pope Sixtus IV who commissioned the restoration works in 1477. 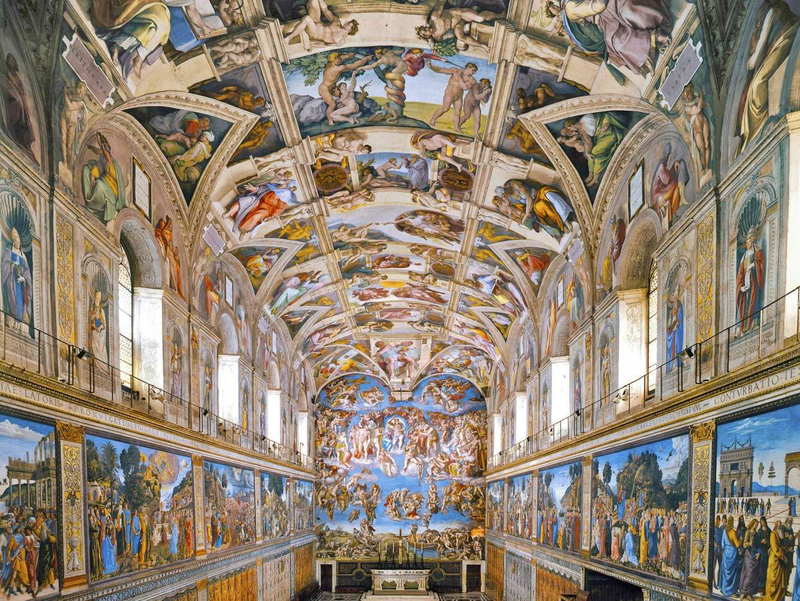 The Sistine Chapel ceiling, painted by Michelangelo between 1508 and 1512, is a cornerstone work of High Renaissance art. The artist began to work on the frescoes for Pope Julius II in 1508, replacing a blue ceiling dotted with stars. 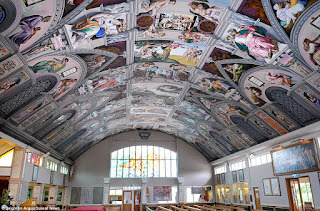 Originally, the pope asked Michelangelo to paint the ceiling with a geometric ornament, and place the twelve apostles in spandrels around the decoration. Michelangelo proposed instead to paint the Old Testament scenes now found on the vault, divided by the fictive architecture that he uses to organize the composition. Working on the Sistine Chapel was so unpleasant that Michelangelo wrote a poem about his misery. Since the 15th century, papal conclaves have been held in the Chapel, and it is here that the future pope is chosen. Those outside the chapel have to watch the chimney - black smoke means they’re still deciding, while white smoke signals the election of a new pope. 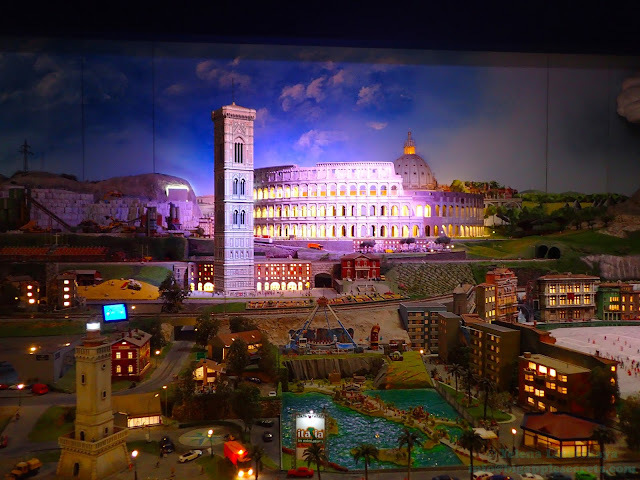 About 17,000 people visit Vatican museums daily. The world's only hand-painted replica of the Sistine Chapel artwork is located in a tiny church in a seaside town Worthing, West Sussex, Great Britain. 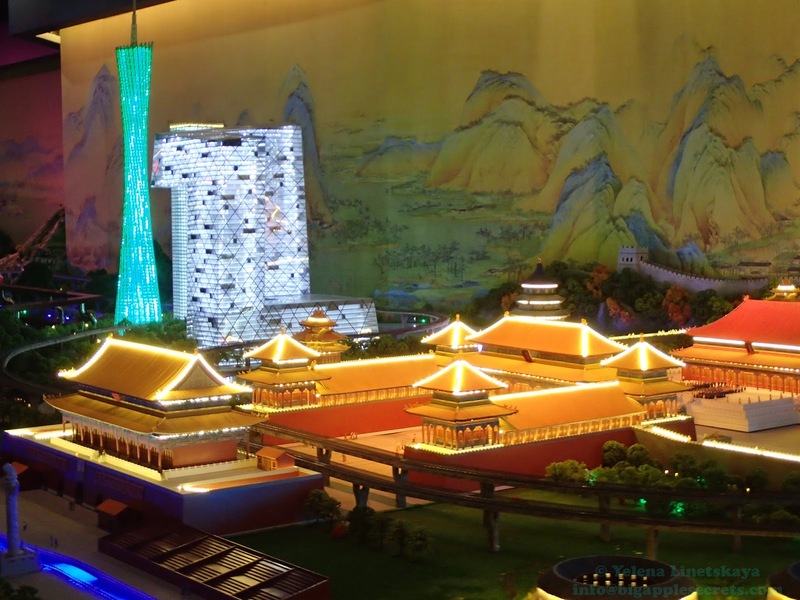 The project was started project in 1987. It took 5 years to complete the project. Visitors from Australia, Canada, and the USA have all admired the incredible ceiling, which was created by a sign-writer who had no art lessons in his life. It took 4 months in 2006 to paint Michelangelo's "Creation of Adam" from the Sistine Chapel using store-bought spray paint in the small town Waterloo, Iowa. 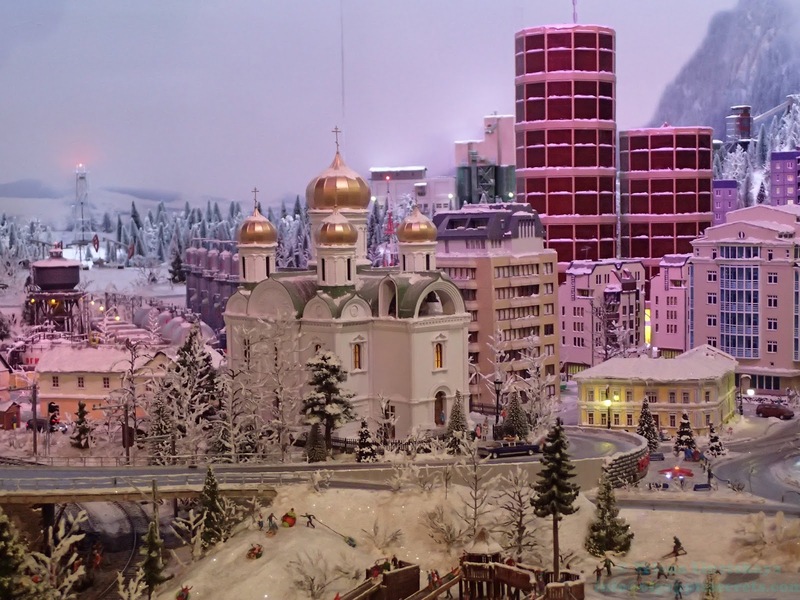 It was done by b 27-year-old Evelin "Paco" Rosic whose family arrived in the late 1990s from war-torn Sarajevo. In 2016 Sistine Chapel life-sized temporary replica was unveiled in Mexico City . 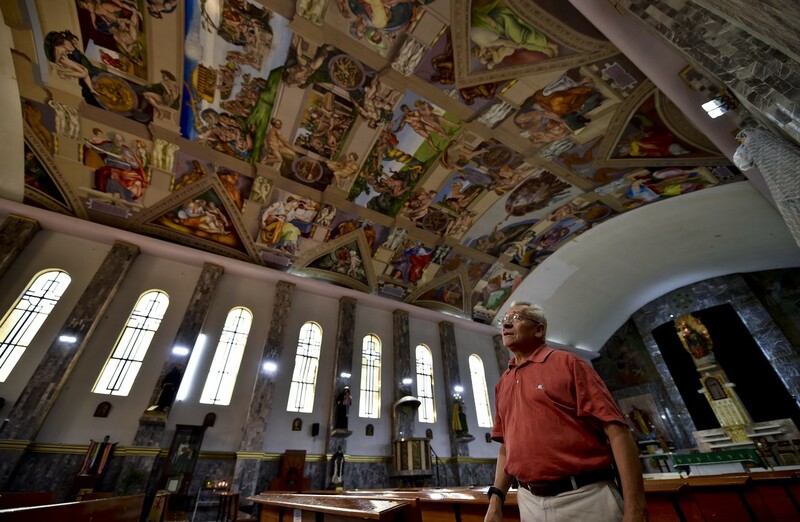 The Vatican-approved Mexican replica was created using more than 2.6 million images to create the replica printed on cloth and hung from a metal framework. 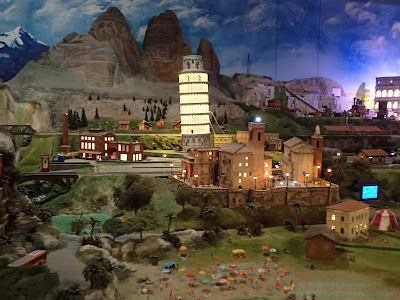 The replica not only includes the frescos of Michelangelo, but sculptures and decorations also adorn the life-size model. 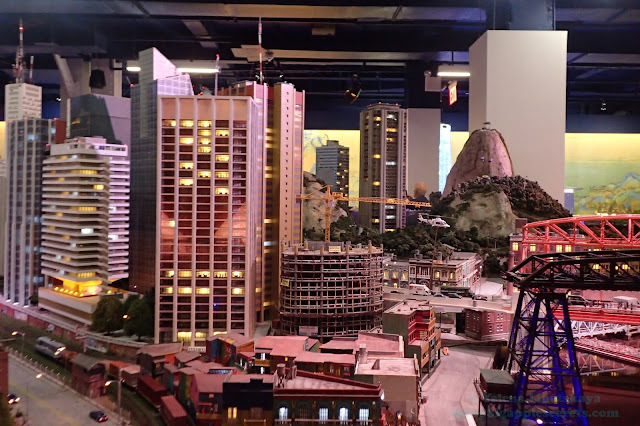 The reproduction cost 45 million pesos (about $2.4 million), and was paid for by private partners. 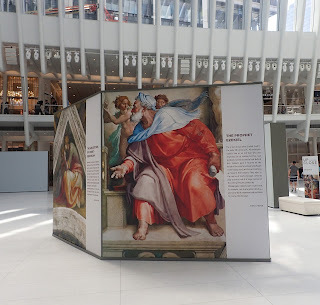 This summer Michelangelo's Sistine Chapel had been recreated at the Oculus, World Trade Center Transportation Hub, completed in 2016. Scott Sanders, who produced wonders like “The Color Purple” musical, placed the Sistine Chapel into the World Trade Center site. 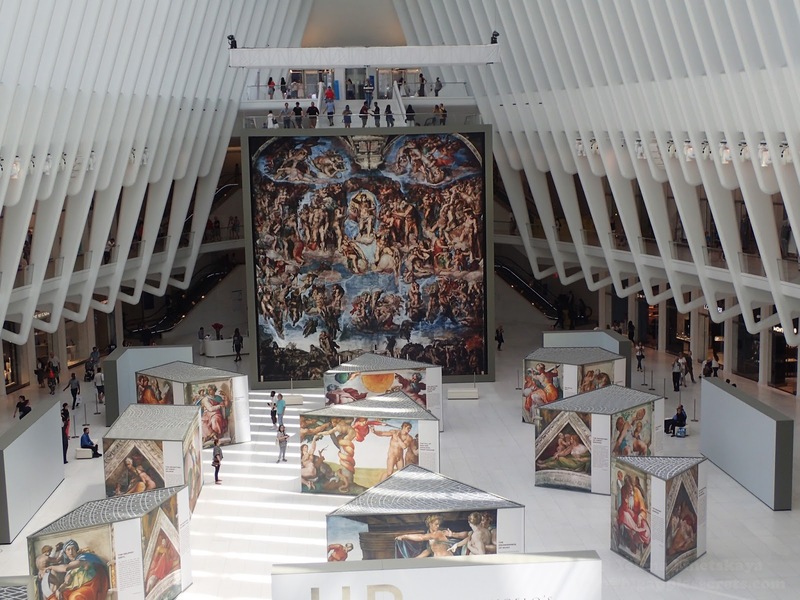 An art exhibit features 34 nearly life-size copies of the Renaissance painter’s frescoes that adorn the Sistine Chapel in Rome . 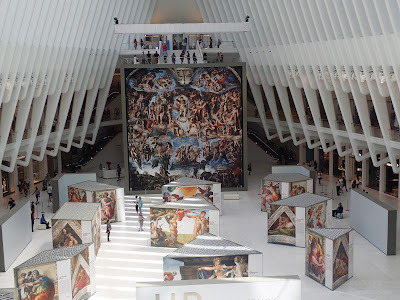 "The Last Judgment’ 45-by-40 feet. Not many places to hang that. 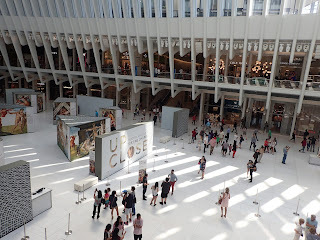 We nearly shrunk it because we weren’t sure we could hang it from the Oculus’ 80-foot ceiling. Engineers worked all night until 3 a.m. 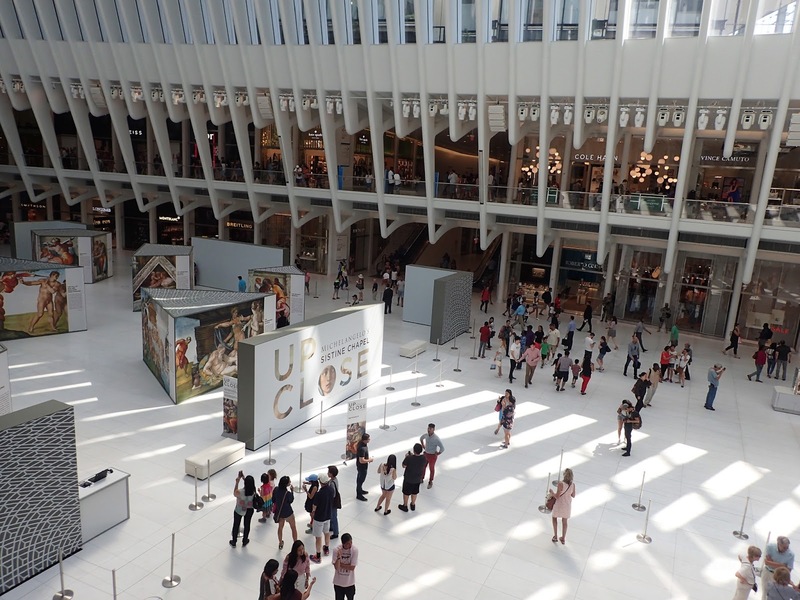 The Oculus is a train hub with 200,000 people a day passing through and when the first commuters came by, it caused a commotion even on Instagram. Look, it’s serendipitous. It’s proof that downtown has come back. Seeing it actually in the Sistine Chapel, it’s only for a few minutes. Your head’s cranked back, not up close, you can’t see every detail. We have 34 frescoes photographed on large canvases, which people can examine as long as they like. We have audio guides in four languages. " 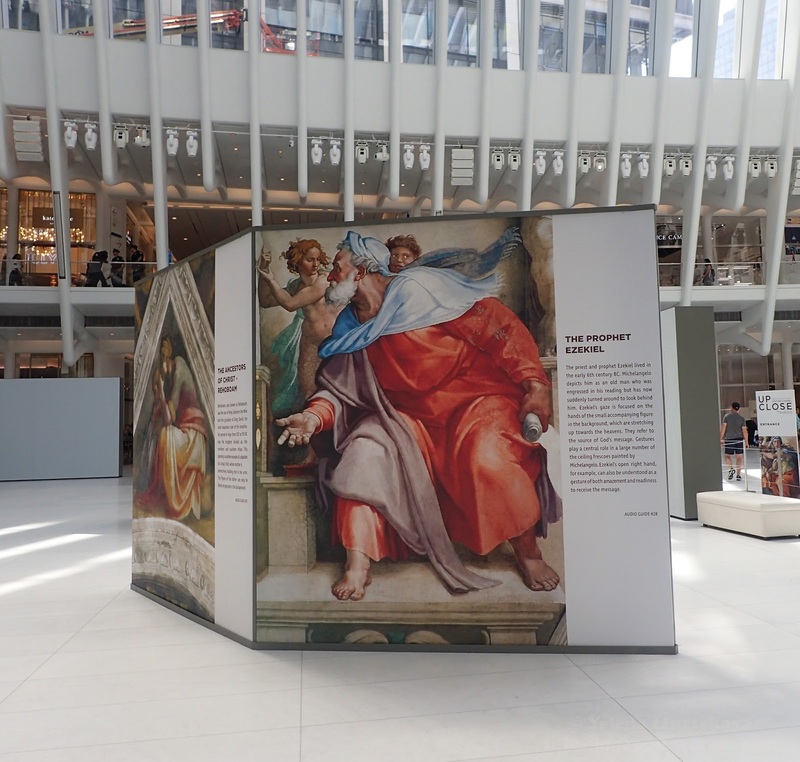 “Up Close: Michelangelo’s Sistine Chapel” is open from June 23 until July 23. Mexican replica is free, hand-painted replica in Worthing is free. The ticket for the Vatican Museums that represent one of the largest art collection in the world including entrance into the Sistine Chapel is 25 euros. 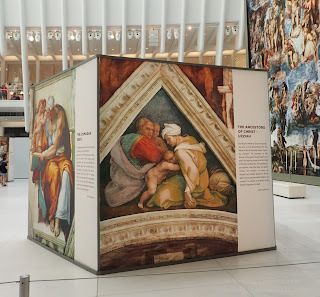 The price for the ticket to Up Close: Michelangelo’s Sistine Chapel is $22 USD including audio guide. If you do not want to waste money and want to see REAL Michelangelo, the artist is the subject of a huge new exhibition coming to the Metropolitan Museum of Art later this year.